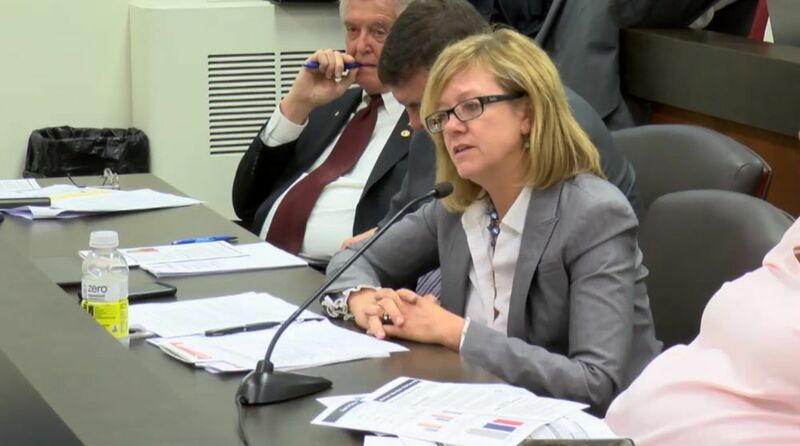 Rep. Jeanne M Ives (R-Wheaton) questioning evidence based funding at the May 22 House Appropriations meeting. During a recent House Appropriation Elementary & Secondary Education Committee Hearing, GOP lawmakers expressed concern that property taxes will continue to rise in an effort to further school funding. Earlier this year, the Illinois comptroller released $350 million to the state's school districts required under the new evidence-based model. Lawmakers last year signed off on the model, which is meant to allocate state funds to the neediest districts first instead of relying strictly on local taxes to pay for education. During a May 22 committee hearing, Reps. Jeanne Ives (R-Wheaton) and Steven Reick (R-Woodstock) were dismayed to hear Staunton District 6 Superintendent Dan Cox asked for $50 million more to fund his district's schools. Cox told Ives the needed funding must be filled by the state, which has a constitutional obligation to pay, but Ives reminded Cox more money means more property taxes. She also brought up that Cox and other state superintendents are suing Illinois for more than $7 billion on top of the evidence-based funding. “You just said here you are looking for $400 million, but you filed a lawsuit, so truthfully you actually want $7 billion immediately,” Ives said. Bottomline, according to Ives, is Cox is asking taxpayers, who make an average of $42,000 annually, to pony up a 2-percent raise in taxes. “Whereas your administrators and you yourself personally are making two to three times that amount,” she added. After Committee Chair William Davis (D-East Hazel Crest) cut Ives off, saying her comments were not appropriate for the subject matter, Reick said they were appropriate. Reick wanted to know where Cox thought the money was going to come from, but Davis interrupted again, saying if Reick wanted to discuss the lawsuit, they could do so at another meeting. Reick then asked Illinois State Board of Education (ISBOE) Chief Financial Officer Robert Wolff if there are any districts that are above adequate and successfully meeting the goals set forth in the evidence-based funding proposal since citizens will have to vote by referendum on a possible hike. 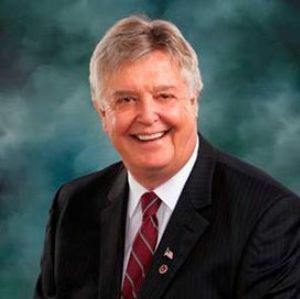 Rep. Avery Bourne (R-Raymond) agreed. "I think it is important in this committee as the appropriations that we have an honest discussion about what the policy ramifications are of choosing to fund at certain levels,” Bourne said. No action was taken in the committee hearing.